Kurdish peshmerga forces have stormed the Iraqi town of Bashiqa, some 15 km from Mosul. They reportedly cleared out a pocket of militants as they went. But elsewhere Iraqi troops are said to be engaged in fierce urban warfare. Fighting in places within the city of Mosul has become intense, at one stage a convoy of 40 vehicles was held up by a single ISIL sniper. Iraqi officers say the jihadists have melted into the population, often ambushing and isolating Iraqi troops. In the newly retaken Mosul neighbourhood of Intisar locals have welcomed Iraqi forces as liberators. 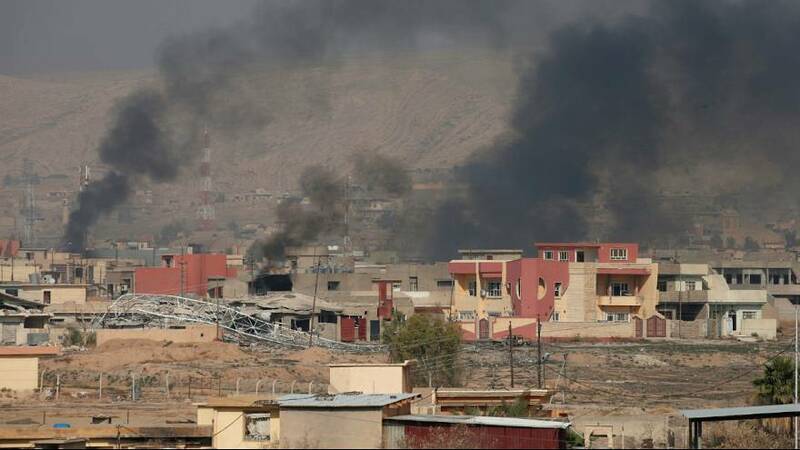 The territory now controlled by the coalition of government, and Kurdish forces, backed up by US air strikes still amounts to just a fraction of the sprawling city which was home to two million people before it was captured by ISIL. As well as Kurdish forces taking Bashiqa, Iraqi troops earlier swept through the nearby village of Hammam al-Alil where tales of torture and executions carried out by ISIL have emerged. Local witnesses have also reported that ISIL are using civilians as human shields forcing them to march alongside them to gain protection from air strikes. Iraqi officers say the jihadists have melted into the population, often ambushing and isolating his troops. Retaking Mosul could take months.